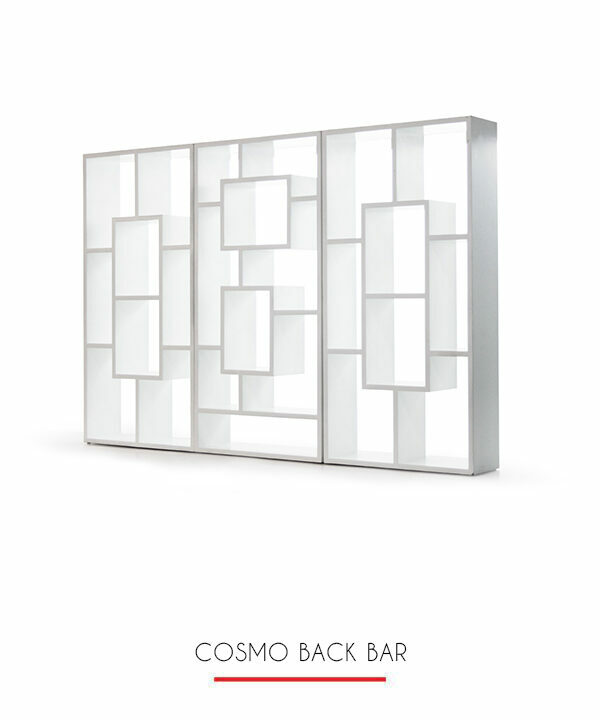 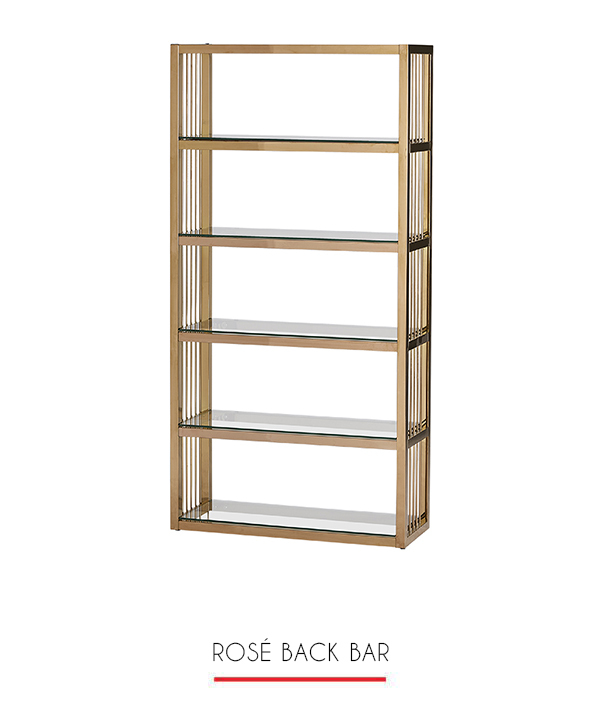 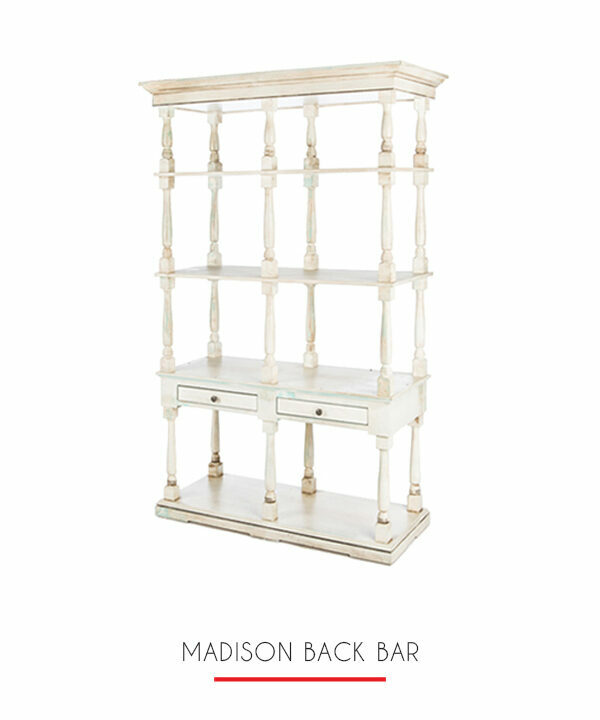 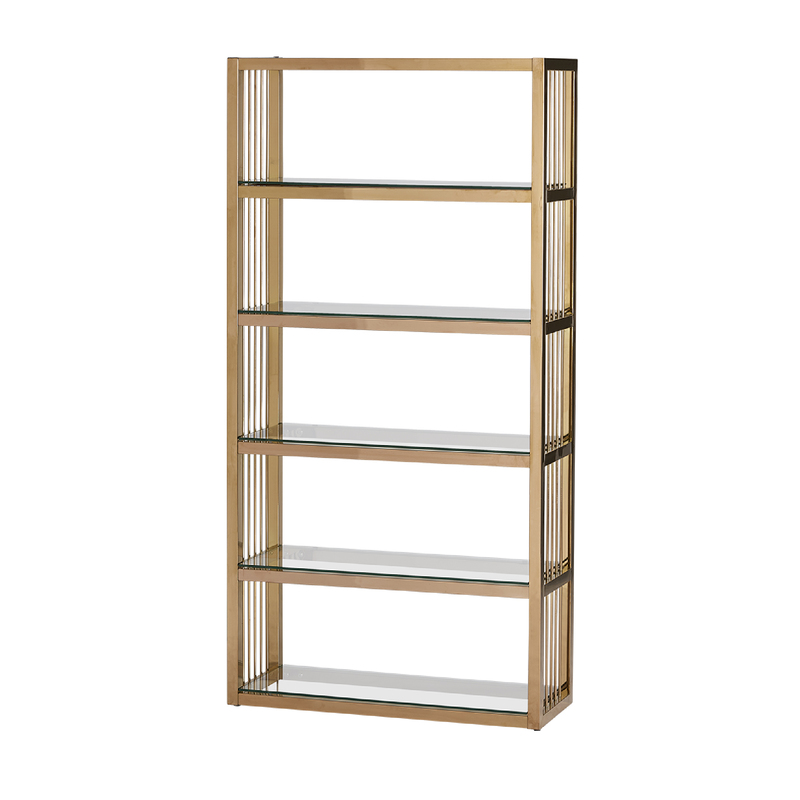 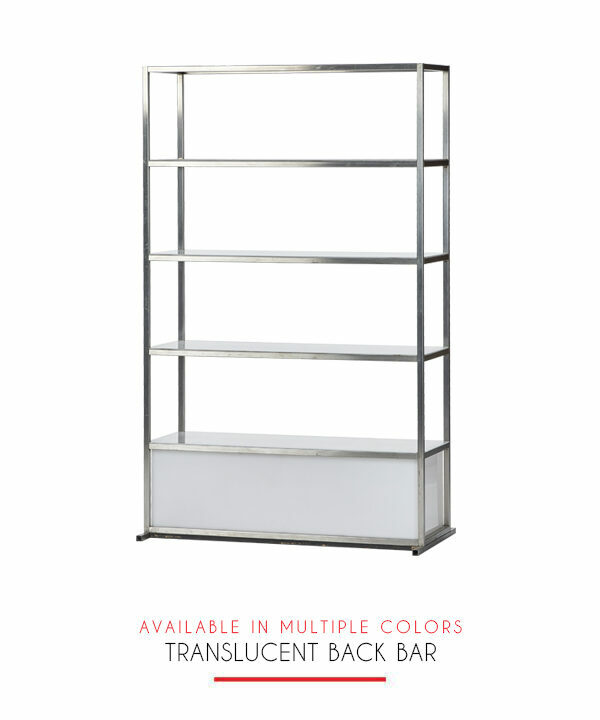 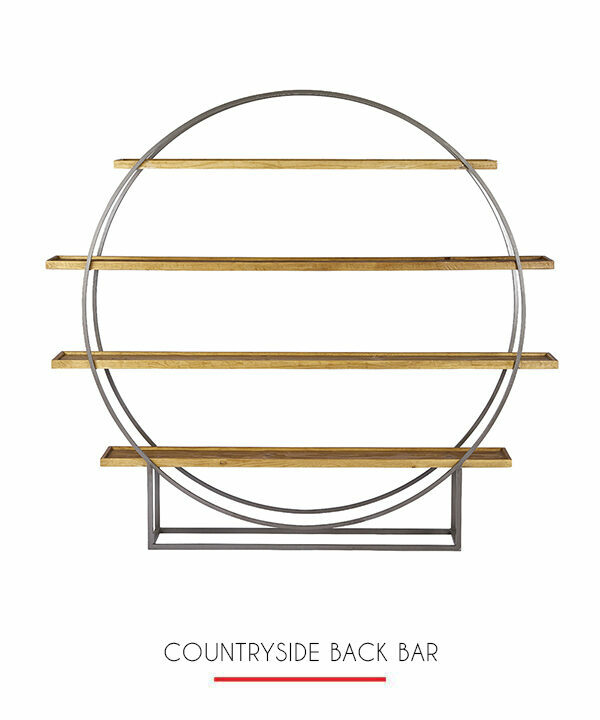 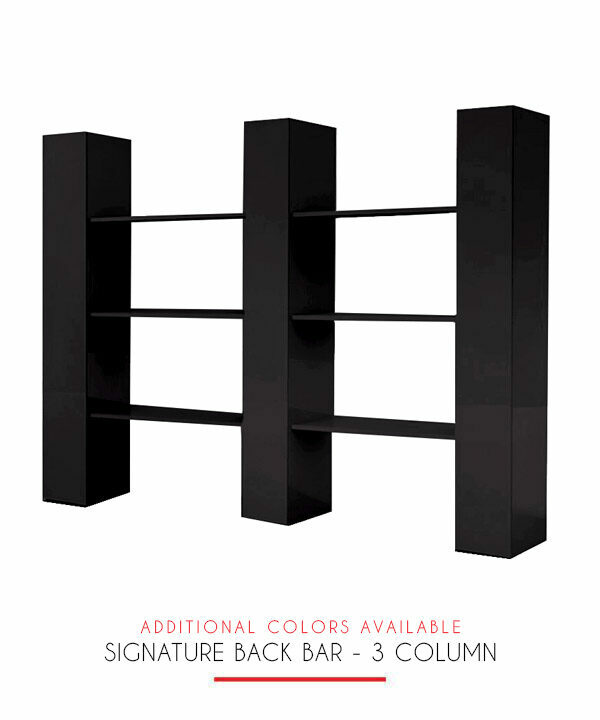 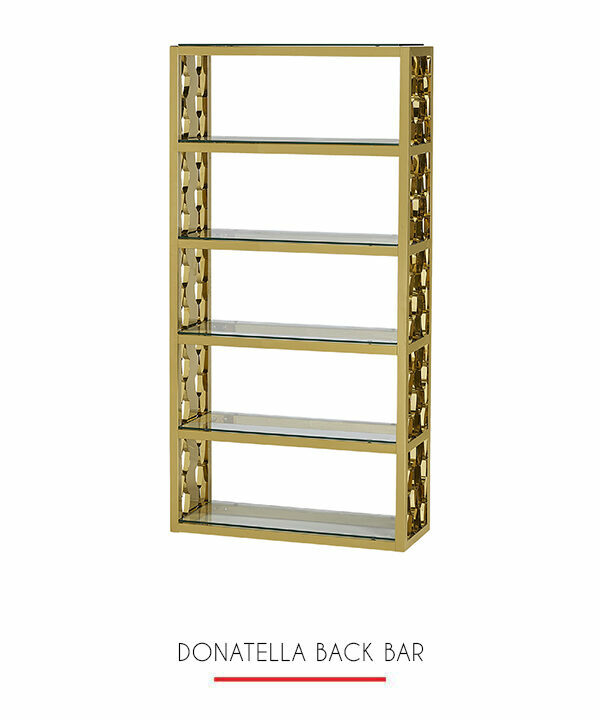 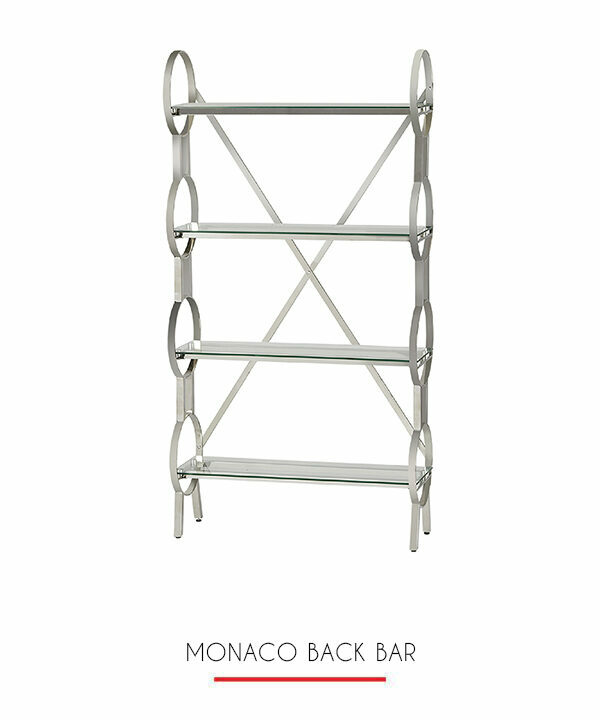 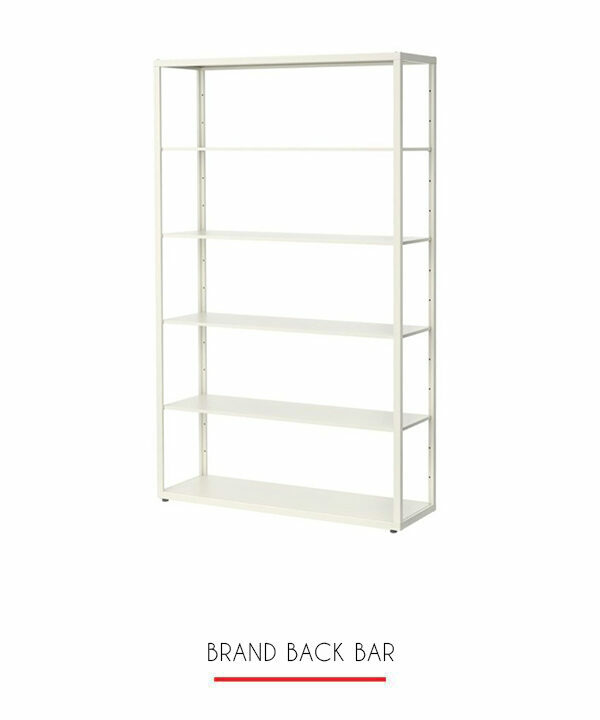 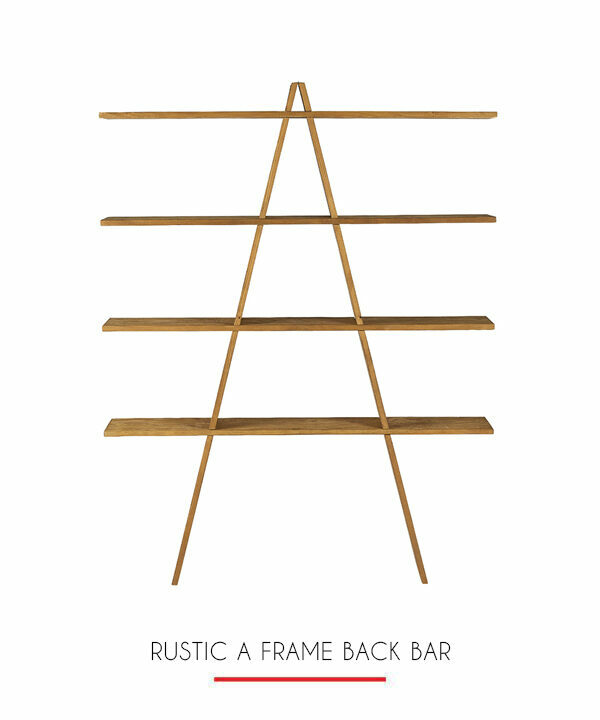 This five shelf rose gold back bar is stylish and effective in its simplicity. 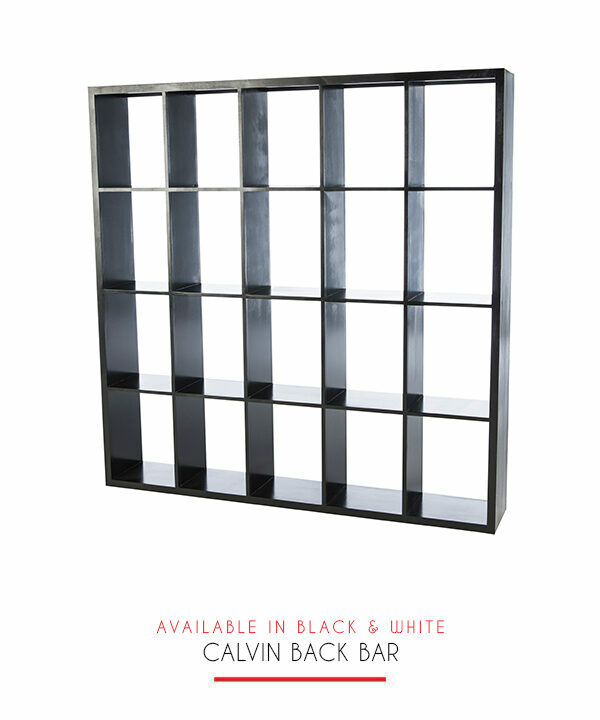 The no-nonsense design allows you to effectively organize all of your liquors and spirits and puts them within easy reach for you and displays them well for your guests to choose what they’d like. 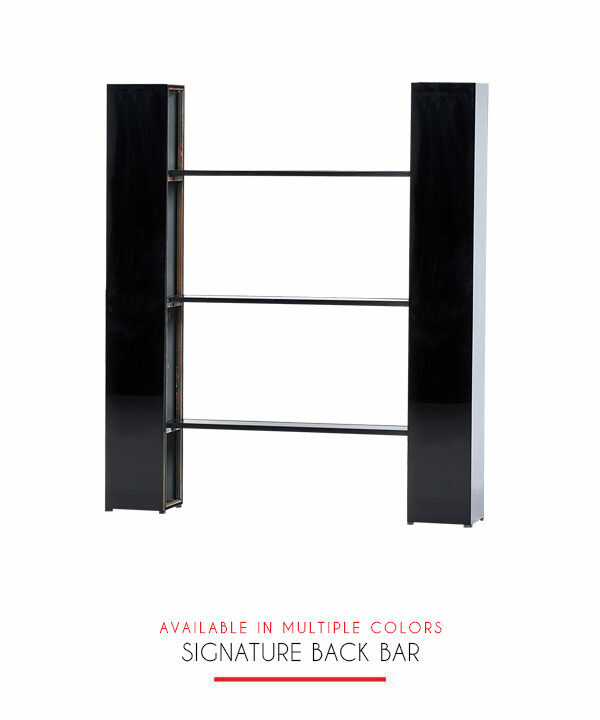 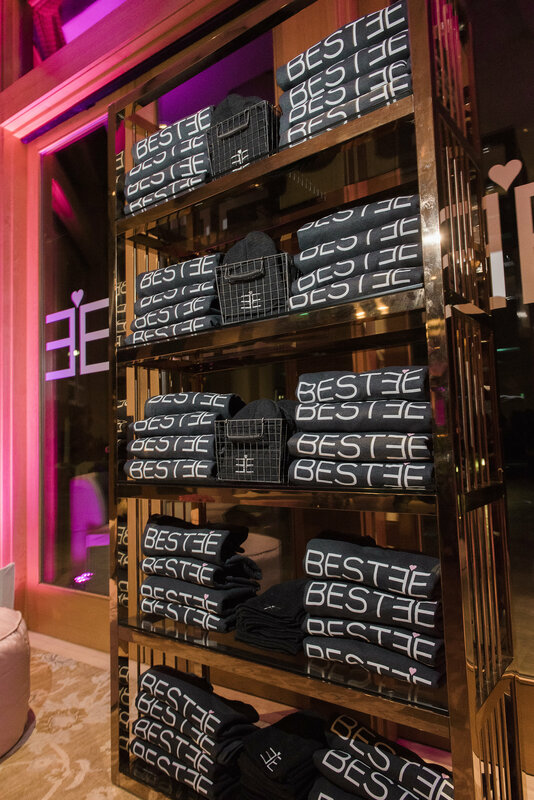 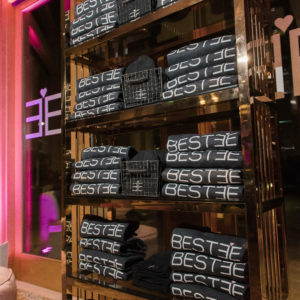 Rent two and place them side-by-side for larger events.